"Postcard - Edward Air Force Base - Circa 1960's. " 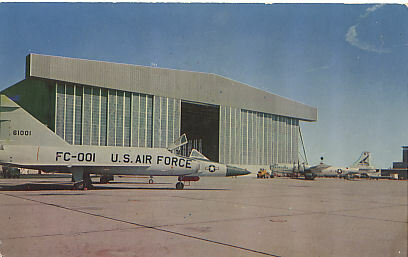 (1844) Postcard - Edward Air Force Base - Circa 1960's. -Condition: Good + Picture of the following Jet Planes: F-102, B-50 and F-86. Lower left corner is soft. Card measures 5 1/4" by 3 1/2". Price: $2.50 +shipping.